Ellie Greenwich may not have been a household name, but her songs were known and loved all over the world. Here is my tribute to this fantastically talented woman who, by all accounts, was a wonderful human being as well as a gifted singer, songwriter and producer. Rest in peace, Ellie. Ellie Greenwich was, without a doubt, the voice of a generation. We hear this expression all the time - voice of a generation - but, in Ellie's case, it's more than a cliché ... it's who she was. It's what she meant to the world of pop music. She spoke the same language as the teenage girls who were buying her records. Ellie Greenwich not only wrote songs for young women, she was a young woman herself, a distinction that held true for only a relative minority of songwriters in the early 1960s. Most of the successful composers of the era (Jerry Leiber & Mike Stoller, Burt Bacharach & Hal David, Doc Pomus & Mort Schuman, Neil Sedaka & Howard Greenfield, to mention only a few) were males. Certainly there were Carole King, and Cynthia Weil, and others of the same ilk whose contributions to music cannot be underestimated and who each left her own personal stamp on the genre, but Ellie was unique. Ellie's songs were melodic, certainly, but also innocent, virginal, playful, fun, with silly lyrics ("Da Do Ron Ron," "Doo Wah Diddy") that made you want to sing along - and it was a joy to do so. The early songs were devoid of introspection and heaviness; they embraced the happily ever after. Ellie Greenwich's tunes were full of brightness and hope. Ellie's couples were young and in love. They made 'em turn their heads every place they went, and they got maa-aaa-aarried at the Chapel of Love. Life was uncomplicated, and we all liked it that way. Even when the subject matter of Ellie's songs expanded (especially after The Shangri-Las entered the picture) to include tales of painful breakups, hurt and betrayal, and lost innocence - and, with tunes like "Leader of the Pack" and "Give Us Your Blessings," actual death - the ingenious crafting and production of the tracks rendered them excruciatingly romantic, rather than macabre. Ellie Greenwich was born on October 23, 1940 in Brooklyn, New York, to a Catholic father and a Jewish mother. The family moved to Long Island when Ellie was ten. As a youngster, Ellie took lessons on the accordion, eventually switching to piano after she began composing her own songs. She and songwriter Jeff Barry met through mutual relatives, and the two began dating in the early 1960s. Professionally, each worked with other partners, but once the couple married, in October of 1962, it was natural that they begin composing tunes with each other. 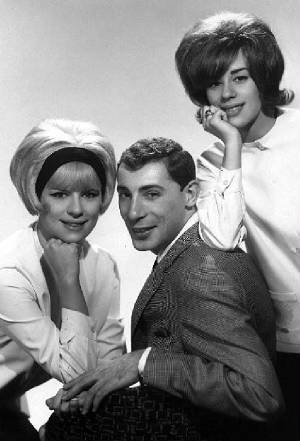 The years 1963 and 1964 were the golden years of the girl groups, with Ellie and Jeff riding the wave of success right alongside The Ronettes, The Crystals, Darlene Love, The Jelly Beans, Lesley Gore, The Dixie Cups, and The Shangri-Las; the majority of their hit songs were written by Jeff and Ellie. Producer Phil Spector, who cowrote many of these songs, enjoyed the biggest successes of his professional career during this time period. These were heady years, and the couple were at the top of their game. Hits followed one another in rapid succession - "(And) Then He Kissed Me" and "Da Do Ron Ron" (The Crystals), "Be My Baby" and "Baby, I Love You" (The Ronettes), "Christmas (Baby, Please Come Home)" (Darlene Love), "Doo Wah Diddy Diddy" (Manfred Mann), "Chapel of Love" (The Dixie Cups), and "Leader of the Pack" (The Shangri-Las; written with George "Shadow" Morton), to name only a few. Then 1965 came, and, with it, the beginning of the end of an era. Ellie and Jeff's partnership with Phil Spector was on indefinite hiatus. Both Jeff and Ellie cut solo recordings (Jeff the soulful "I'll Still Love You," Ellie the haunting "You Don't Know"), but neither was destined to set the world on fire. There were problems in the marriage, and the couple separated. Before the year was over, Ellie and Jeff had gotten divorced, and although they continued to work together sporadically for the next few years - mainly producing and providing background vocals for a new young singer-songwriter named Neil Diamond - their partnership was sputtering to a close. At the behest of Phil Spector, Ellie and Jeff did join forces to pen a few more tunes, including the seminal "River Deep, Mountain High" and the lovely "I Can Hear Music," but by all accounts the songwriting sessions were awkward. In a heart-wrenching irony, one of the songs resulting from this final collaboration was the sadly overlooked "I Wish I Never Saw the Sunshine," a tear-jerker about a devastating breakup and permanent end of a dream; this track, recorded by The Ronettes, could have been Ellie Greenwich's anthem at that point in her life. Unfortunately, that recording, as well as the other two aforementioned tracks (by Ike and Tina Turner and The Ronettes, respectively) died on the American charts. Although both songs would later become hits for other artists, at the time the failure of the songs to even make the Top Forty was like the sounding of a knell. The glory days were over. Ellie never remarried after her divorce from Jeff, but she remained in the music business, wearing a variety of different hats from songwriter to arranger to producer to background and jingle singer. Since her musical career's early days, Ellie had become known in New York as something of a "demo queen," which meant that she was generally one of the first singers contacted by other composers and producers when they were looking for a female voice for their demonstration records. Ellie was also at the top of the list of background singers, and fans can hear the harmonies she provided for a diversity of artists ranging from Lou Christie to Ella Fitzgerald to Andy Kim to Cyndi Lauper. In 1985, Leader of the Pack: The Ellie Greenwich Musical opened on Broadway. The play, which is still being performed by high schools and theatre groups around the globe, tells the story of Ellie's life and career via a series of musical vignettes. The show had had its beginnings at the Bottom Line cabaret the year before, as a revue celebrating Ellie's hit recordings; the production was subsequently expanded for legitimate theatre, and its 120-performance run helped to revive interest in Ellie's tunes, most of which were golden oldies from two decades before. All of Ellie's timeless hits were well represented in the musical, which also included songs written especially for it, such as "Rock of Rages" and "We're Gonna Make It (After All)." The latter was Ellie's new life anthem, as she bounced back from the heartbreak and crises to re-invent herself and emerge as a confident woman in her 40s - with the long, swinging blonde hair and the unlined face a bit weary perhaps, but just as lovely as ever. 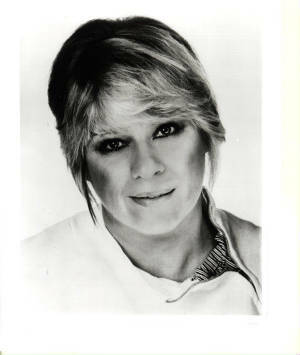 Ellie Greenwich and Jeff Barry were inducted into the Songwriters Hall of Fame in 1991. This richly deserved honor was the highlight of a musical journey that had begun years earlier when a young girl living on the corner of Starlight and Springtime Lanes dreamed of hearing her songs played on the radio. The dream had come true in a profound way. This was official acknowledgment that Ellie's songs were not passing fads that had disappeared into the ether - rather, they are a permanent part of life and pop culture, recognized and known by people around the globe. Ellie Greenwich's untimely passing on August 26, 2009 at the young age of 68 brought the memories back as dozens of obituaries and tributes were published online and in print. Peers such as Neil Diamond paid homage to Ellie's talents as a songwriter-producer and her value as a person. Ellie's many accomplishments were enumerated, discussed, and analyzed. Video tributes were posted on YouTube. The world was united in grief over the passing of a legend. For Ellie's family and friends, of course, the loss is much more personal. Ellie Greenwich is survived by her sister, Laura, and Laura's husband and two children. Ellie had no children of her own other than her songs, which continue to be played and performed around the world. New stage productions of Leader of the Pack: The Ellie Greenwich Musical are constantly being mounted, in the U.S. and abroad. This is the legacy left behind by Eleanor Louise Greenwich, the young girl from Levittown, Long Island, who not only saw her own dreams come true but filled all of our waking lives with music and joy and sunshine, and songs that are as familiar to most of us as our own reflections in the mirror. That's a fitting epitaph for a lady whose tunes mirrored the emotions and sensibilities of young girls everywhere, and without whom the world would have definitely not have been as bright as it was with her in it.